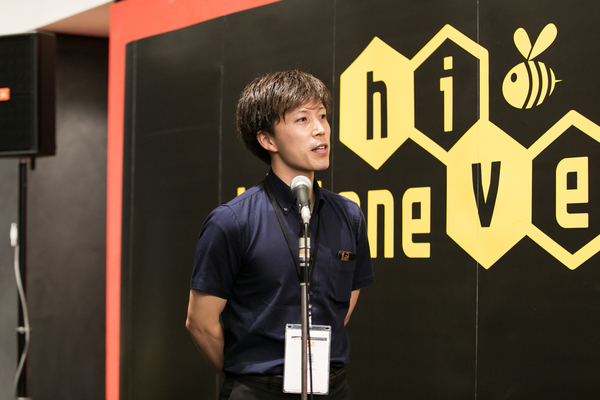 kintone hive Osaka vol. 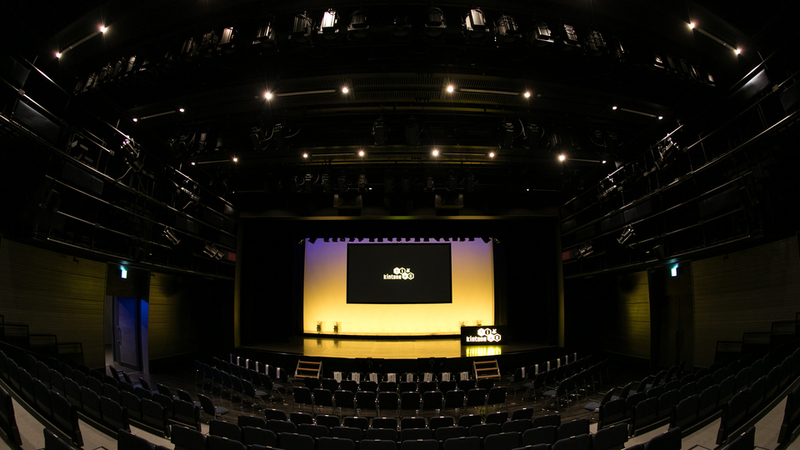 3 was held on June 16th, 2017 at the Grand Front Osaka Knowledge Theater. 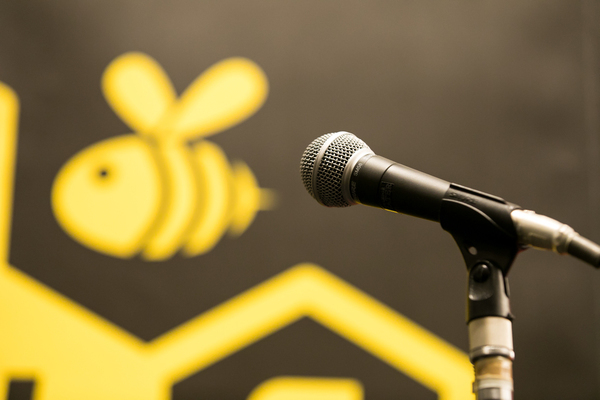 Please read on to learn about the presentations. 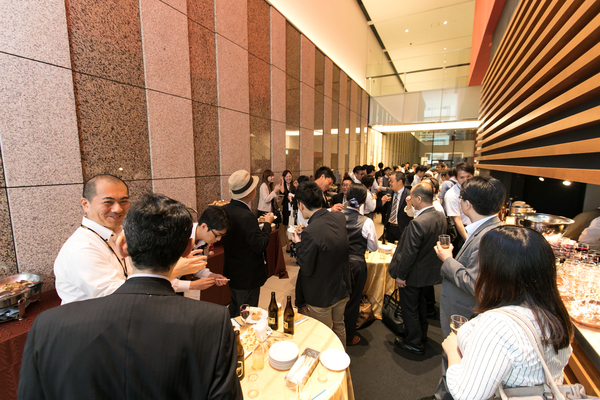 HISAKA WORKS, LTD. deals with the heat exchangers used by air conditioners in famous buildings as well as food sanitation equipment. 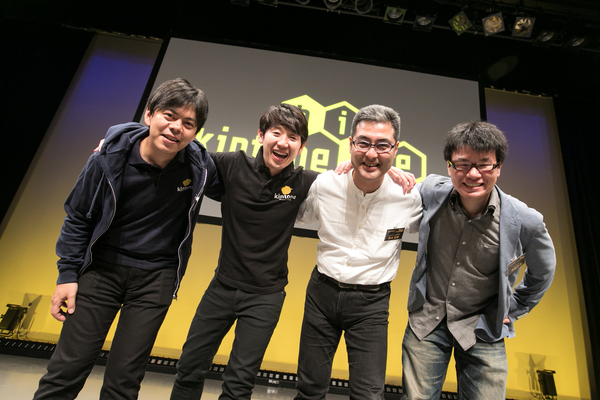 They are long-time kintone users, having used the platform for 6 years, with 451 apps. 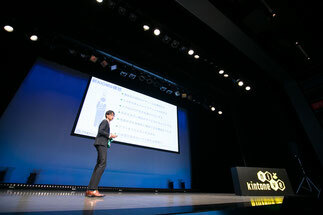 They first brought in kintone to re-organize the data stored in a plethora of excel files, but the system has grown and is now used by 460 people at 16 different locations in 7 countries. This presentation focused on 3 main ways they were able to succeed in "giving birth to a feeling of unity through kintone." First, they started small. kintone is a tool where it easy to get started, so it is often smart to begin with a small scale. Second, they had on-site leaders. Having kintone developed by the users themselves rather than the IT department can have a big impact on the finished product. Finally, they develop apps without focusing on perfection. First, they aimed to execute 78 specific functions through kintone, then they determined which points needed improvement. Now they have completed a system that supports International sales team information exchange beyond borders, management and warehouse communication, improved customer support, and core system integration with kintone, which strengthened information sharing abilities. 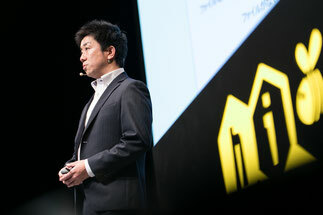 Over the years, Mr. Sasae realized that kintone decreases the distance felt between people inside and outside the company, and contributes to a sense of unity. 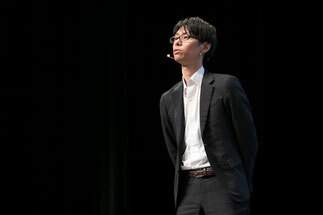 Mr. Hamaguchi from Mainichi Broadcasting discussed the construction of a system for their paid movie distribution service “MBS Douga-ISM 444”, which was released in December 2016. 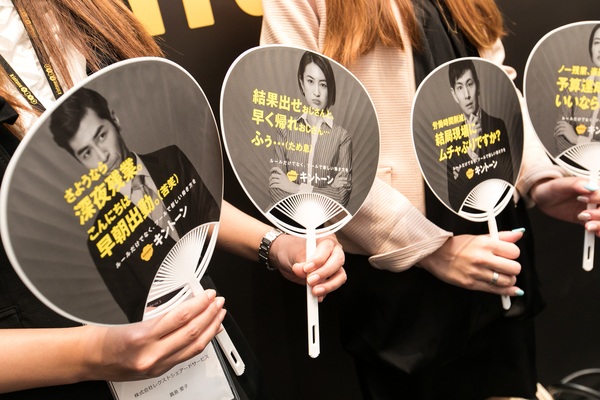 According to Mr. Hamaguchi, the marketplace for movie distribution is growing increasingly competitive, thus it is essential that companies minimize costs and continually add new content. The company must perform such tasks as episode management, service homepage editing, user analysis, and trial period analysis. However, if these tasks can only be performed by system experts, the company may not function optimally. They hoped to increase efficiency by introducing kintone, a service that can be used easily by non-engineers, and customizing the platform to work as a Content Management System (CMS). During the lecture, they demonstrated the process of managing a program from initial acquisition to publication. Recently added episodes can be approved by inputting the episode ID number assigned by the movie server. Then, video category is selected from a drop-down menu of previously determined fields. Also, by recording key visuals and cast members, they can determine which users may be interested in that content. By confirming the user’s last viewed webpage through the preview function, they can finish transmission preparations. Thanks to this CMS, operating this video transmission service became as easy as posting on a blog. If they started from scratch to create the perfect system to fulfill every requirement, it would have taken too much time and money. They only had 3 months for development, but with kintone they quickly created a prototype while simultaneously discussing system requirements. Due to the flexibility of the platform and the collaboration of developers, they successfully created an advanced tool during this short time period. TripleGood Group, which provides various professional services, uses over 100 kintone apps. 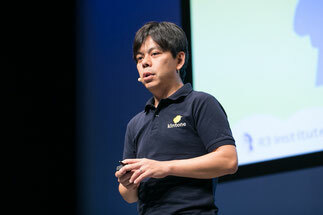 Mr. Nagitakiya discussed two main examples of the change in work style brought about by implementation of kintone. First, he explained that the accounting office operations has a variety of processes for all the services they provide. The 46 operations that they perform all year long can be split into 4 categories; “Monthly Closing,” “Provisional Returns,” “Advance Proposals” and “Advance Returns.” They provide these services to over 1,500 companies, and each employee deals with approximately 50 customer accounts. Before they started using kintone, these complicated processes were managed using paper records. As a result, there were several problems. Progress was frequently delayed, productivity was low, and it was difficult to transfer control of accounts. The first impact of switching to kintone-based management was the easy visualization of progress. As each person manages roughly 46 processes for 50 accounts, the workload is simply too large to track mentally. They can also view their colleague’s progress. This also enabled further division of labor. They specified which department would take charge of inputting specific information into each kintone app field. Through this they divided up labor by assigning data entry to one department and linked a specific person to each account for customer support. The workload of each person was decreased and each employee could their time more wisely and provide management support. They also decreased the time needed to work, and can now accommodate a more diverse range of workstyles. Second was regarding a survey of their roughly 1,500 customer companies. They previously used a paper distribution method, but transitioned to a cloud-based survey tool integrated with kintone to easily visualize the results. The response rate for paper sheets was low and TripleGood was often late in responding to complaints. They significantly improved this with kintone. They received customer evaluations at a specific time to use those as a tool for HR employee evaluations. This increased both customer and employee satisfaction. This company has received acknowledgement by Great Place to Work 6 years in a row and has thanked kintone for enabling their work style reformation. Mr. Fukushima from Kurabo International, which trades textiles, discussed how they manage the production of T-shirts manufactured in Bangladesh. The costs of production in Bangladesh are very low, so many companies try to manufacture their goods in Bangladesh. However, due to the difficulty of managing this process from abroad, there are also many companies which have left the region. Kurabo International, which continues to manufacture in the country, recently received a very large order of 2,400,000 T-Shirts. T-Shirts are simple garments, but there are many components required for production, including fabric, printing materials, tags, etc. It is essential that they can confirm each part of the manufacturing process is being done exactly according to specifications. This was the beginning of a complicated project where they often discussed 50-80 different product IDs simultaneously. Previously, this process was managed through emails, excel sheets and other documents, but the volume of information became so large that it was impossible to communicate the full situation over email. To understand the situation, they would often resort to taking 24 hours to travel to Bangladesh. In worst case scenarios, they would be forced to sacrifice profits to pay for expensive air transportation in order to meet the scheduled delivery date. 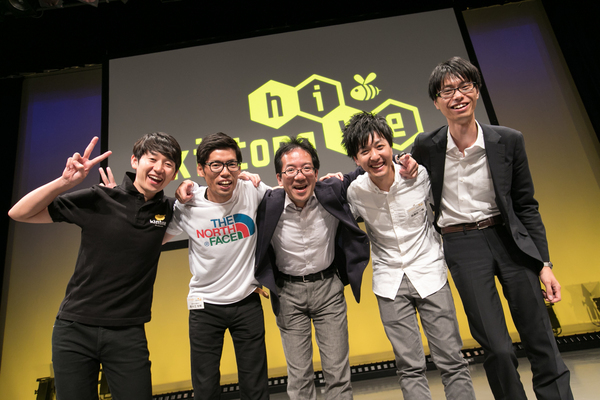 As a solution, they created a manufacturing management system with kintone that allowed the same data to be accessible from both Japan and Bangladesh. The project leader in Bangladesh can simply input the current status of the project such as “cutting fabric,” “sewing” or “quality assurance” for the employees in Japan to view on an excel-type page. 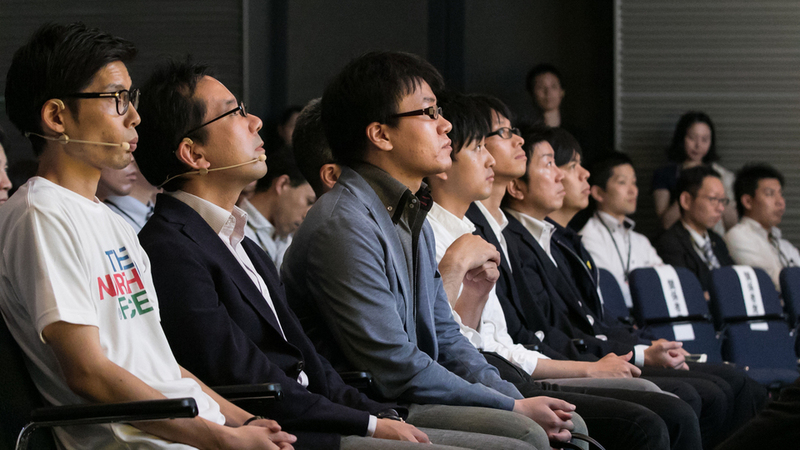 Now, the managers in Japan can get real time updates on the manufacturing process and anticipate problems before they occur. The system also sped up the process of searching for international trade documents. They decreased the frequency of reactionary air transit, and increased the usage of land shipment containers. Now, they don’t need to take as many long business trips to solve problems and are able to use a more positive management style. 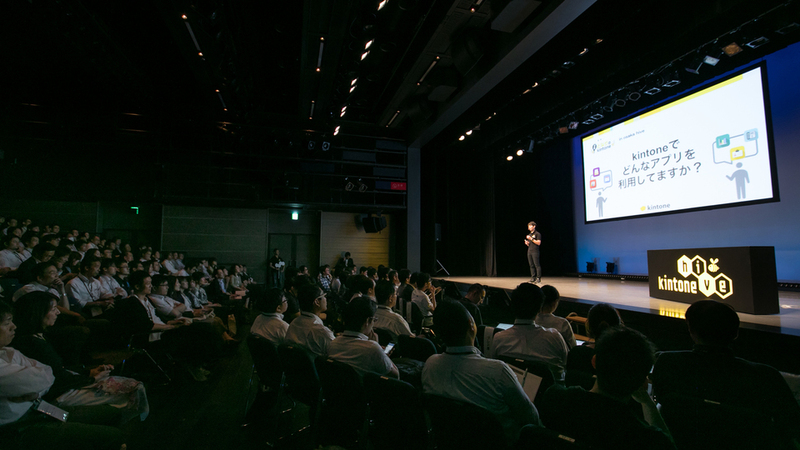 iret, which has strong kintone and AWS integration, presented several new ideas regarding the utilization of this integration in areas such as cloud services, AI, video transmission and IoT. 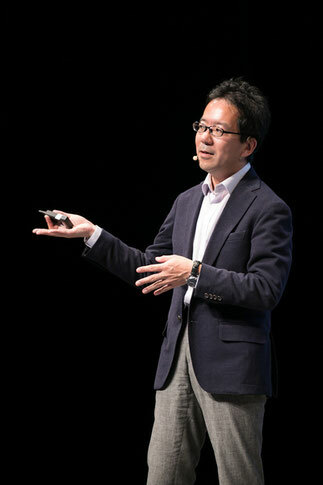 Although he has many ideas, Mr. Maeda demonstrated the use of the complex goggles "HoloLens." With this Mixed Reality system developed by Microsoft, you can view digital contents materialized as holographs along real world objects. 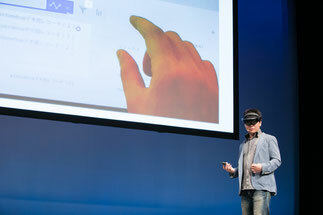 On the stage Mr. Maeda, who had equipped the glasses, traced his finger through the air, while the screen displayed how he was viewing the kintone interface through the HoloLens. Mr. Maeda showed how the data stored in kintone was shown as a holograph in this user interface. When you update data through this UI, kintone records are updated via AWS, and a completion message is shown in the HoloLens. This demonstration was just one example of how technology like HoloLens can be used for kintone data management. 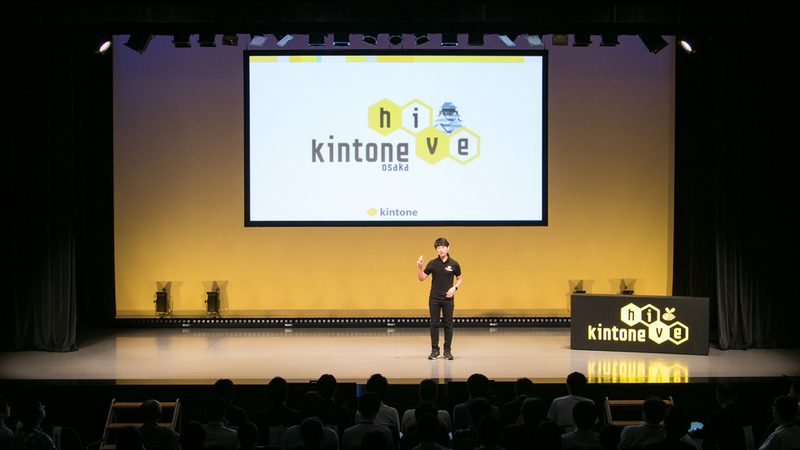 Finally, Mr. Maeda stated that "through the combination of hardware and the cloud, the possibilities of kintone are expanding endlessly." What can you see when you link kintone to maps? 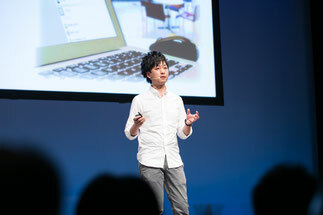 Next, Mr. Kuroki, an expert on integrating maps and IT systems, introduced "kantanmap for kintone." He stressed that this is no simple street map tool. Instead, he defines it as a maps tool that changes your job. 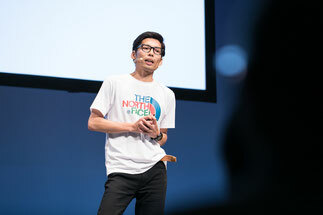 He believes that “IT tools have progressed significantly, but business applications for maps still have a long way to go.” For IT map activities, there are a lot of cases where navigation is done via smartphone, but when management decides that they should use advanced map, it is still common for them to drop a pin on a physical map on the wall. 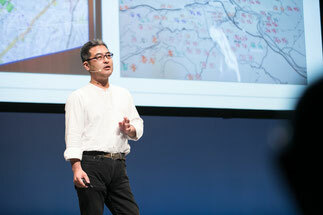 To Mr. Kuroki, a revolutionary map tool needs two main functions. First, On the map interface, you need to be able to associate and save pins, text and photos. Second, you need to be able to view specific details of a location on the map. “kantanmap for kintone” fulfills these requirements. For example, you can display building information for properties within an elementary school or district, or view customers close to your current location and see how far away they are. There are many ways that this can be useful to a variety of users, for example, a local politician could use this to track the locations of campaign posters. They expect to bring this technology to many new customers for purposes such as real estate property management, rental vacancy surveys, public park management. The ideas are limitless. 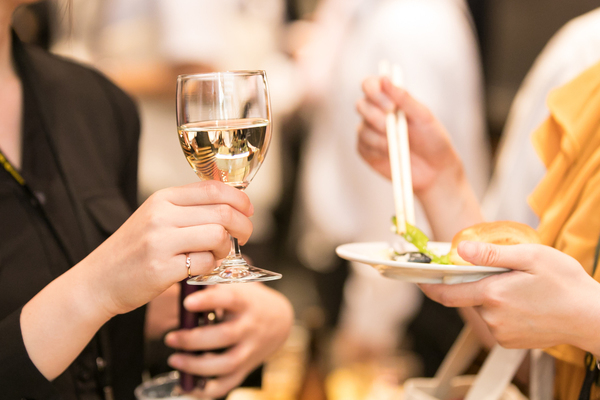 In cases where kintone is being used for existing operations, it can be very helpful to be able to migrate data from databases such as “SQL Server” or “Oracle DB.” Nippon Dentsu introduced a method for this type of data migration to kintone. His recommendation for easy data migration was to use the file sharing app from the searchable kintone app store in conjunction with the user-friendly tool “DataSpider Servista.” Drag and drop the file icon and the DataSpider Servista procedure will begin. Of course, there are more complicated use cases. For example, you may want to migrate data from IBM'S Notes software to kintone. Many companies would especially like to migrate their workflows. 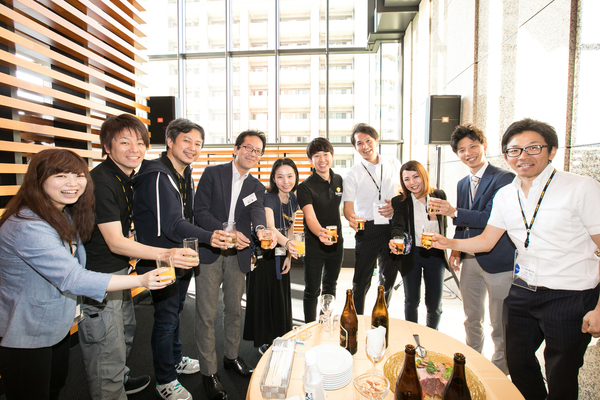 Dentsu heard about this requirement, and established a process management flow to do so. 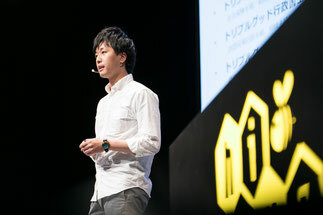 There are also cases where there is a large quantity of data to transfer which requires editing and combining fields, which may number over 200, but even this can be done using this service. .
Mr. Asaga、a former Cybozu employee, gave a unique presentation sharing his honest feedback for kintone. He believes that "kintone is still a gradually evolving product." He shared 5 main points of contention. He cited the difficulty of viewing data hidden by the comments column. Then, he noted how it is difficult to specify important information due to the small display. Another challenge is the ease of forgetting which app and who’s data you are viewing. He was also irked by the inability to input full-width digits and that you the lack of enforceable character limits in multi-line strings of text. 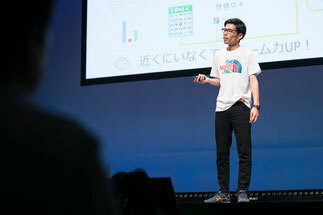 As an engineer, which he designs as “someone who creates something new,” he introduced the “gusuku magonote plugin” which was created to solve problems like those. 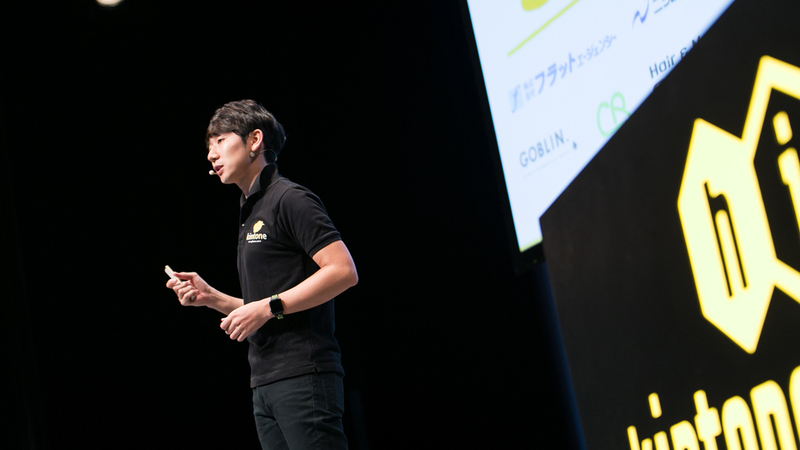 gusuku is a platform service from R3 Institute designed to support kintone application development. He then showed how solutions to the aforementioned issues were developed through gusuku. 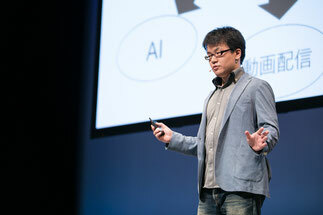 He finished his presentation by reminding the audience that gusuku is available free of charge. 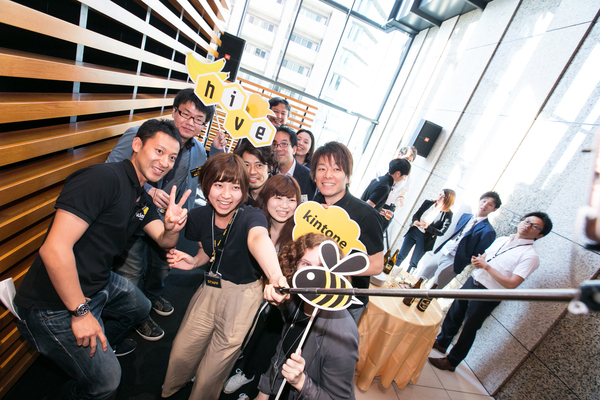 Thank you to everyone who attended kintone hive Osaka vol.3!